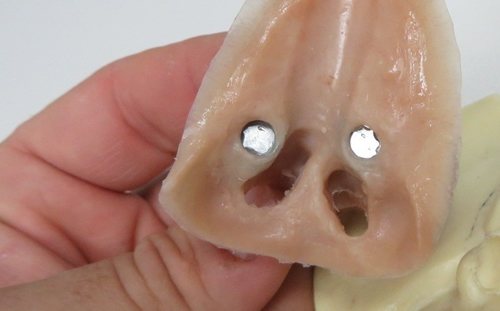 Nose and ear silicone prostheses can be attached by means of special medical grade skin glue, or by means of osseointegrated implants, which is by far the superior method of attachment. 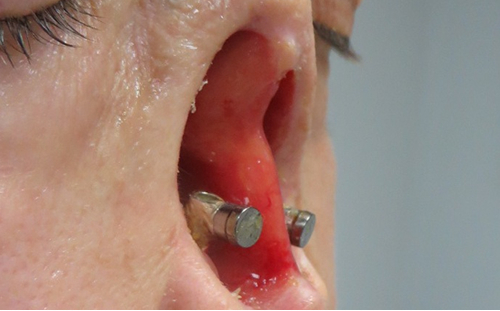 The skin glue does not give the consistent and reliable attachment of the prosthesis that is offered by the osseointegrated implants. With sweating of the skin, the glue does lose its full adhesive qualities and it can often result in the prosthesis sliding or displacing. 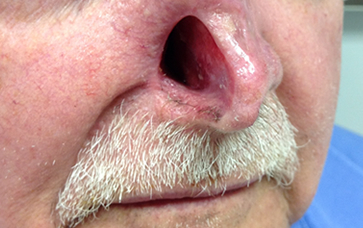 The glue is also difficult to remove from the prosthesis and eventually an accumulation of the glue and dirt that sticks to it, resulting in the thickening of the prosthesis margins (edges) which then makes the margins very visible. 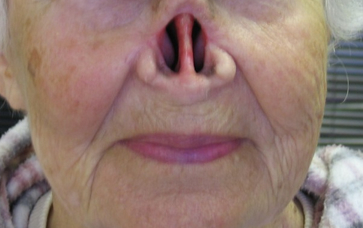 This will of course detract from the cosmetic appearance of the prosthesis. 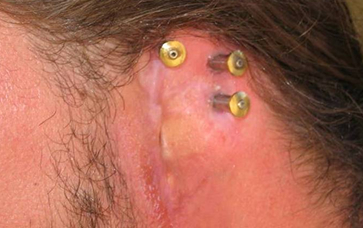 It is also difficult for the individual to place the prosthesis in the exact same location every time. 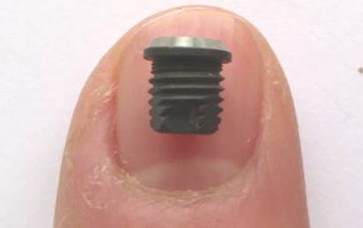 With osseointegrated implants, the mechanical connection to the prosthesis (by means of clips or magnets) keeps the prosthesis securely in place. It also locates the prosthesis in the exact same position every time. 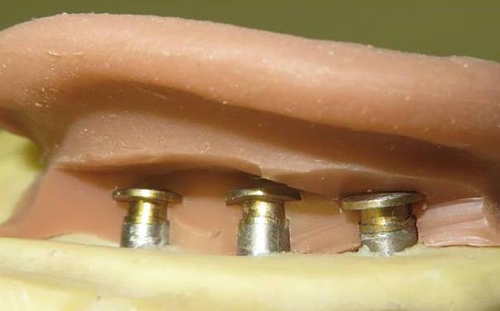 There is no glue that can accumulated on the prosthesis margins, so the prosthesis retains it’s full cosmetic appearance for much longer. 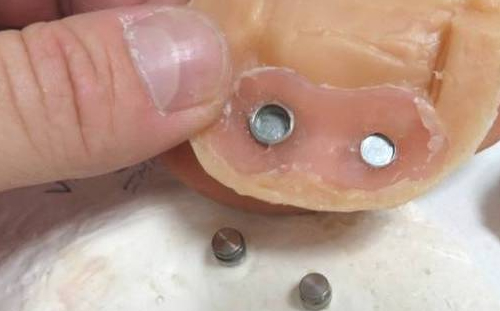 Cleaning of the prosthesis is also significantly easier as there is no need to remove glue from the prosthesis, adding significant convenience. 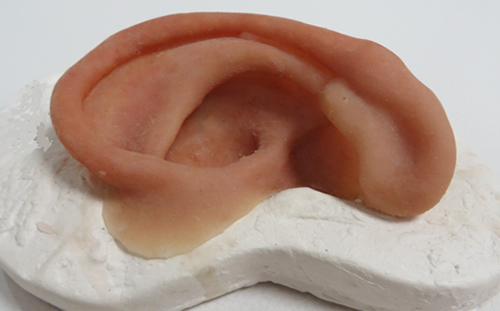 The surgical steps and prosthesis manufacturing process for an ear and nose prosthesis is for the most part identical. 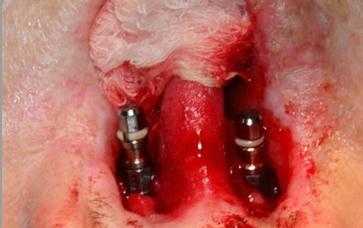 Step 1: Placement of osseointegrated implant. Once all injured or diseased soft tissue is removed, the osseointegrated implant is placed into healthy bone and the soft tissue and skin closed over it. The implants are left undisturbed for a period of 6 – 12 weeks to allow for the ‘’integration’’ of the implant into the bone. Step 2: Placement of the implant abutments to the osseointegrated implants. These abutments vary in lengths and the correct length is placed on each implant to allow it to protrude and sit clear of all soft tissue. 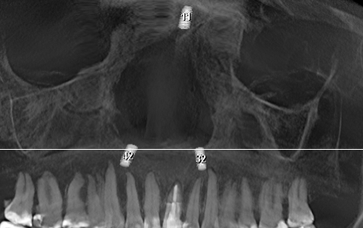 Different attachments can be placed on the abutment extensions, depending on the method of attachment required. 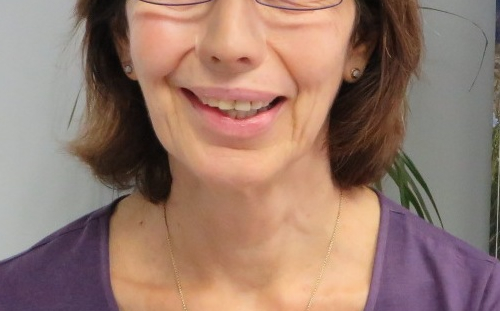 The soft tissue is allowed to heal for 4 – 6 weeks before the silicone prosthesis manufacturing process (step 3) can commence. Step 3: (Day 1) A silicone impression is taken of the defect area. 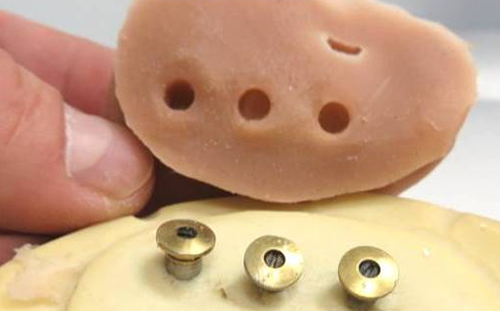 This will allow the laboratory model to be manufactured on which the prosthesis will be manufactured. During the same consultation, the silicone will from which the prosthesis is to be made will be mixed in the appropriate colours. 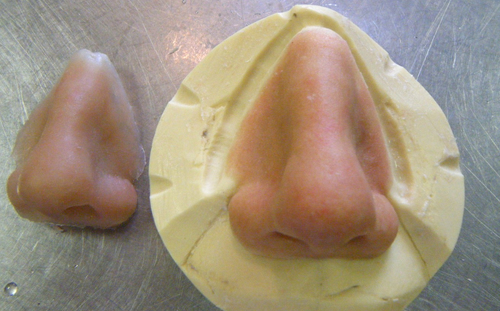 Step 4: (Day 2) The prosthesis is manufactured in the prosthetic laboratory with the pre-coloured silicone. Step 5: (Day 3) The prosthesis is fitted to the patient. 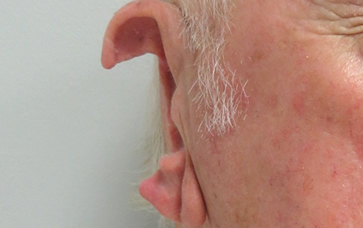 Some external colouring of the prosthesis can be done to further enhance the natural appearance. The manufacturing of the prosthesis itself (Step 3, 4 and 5) is generally done over a period of 3 days.